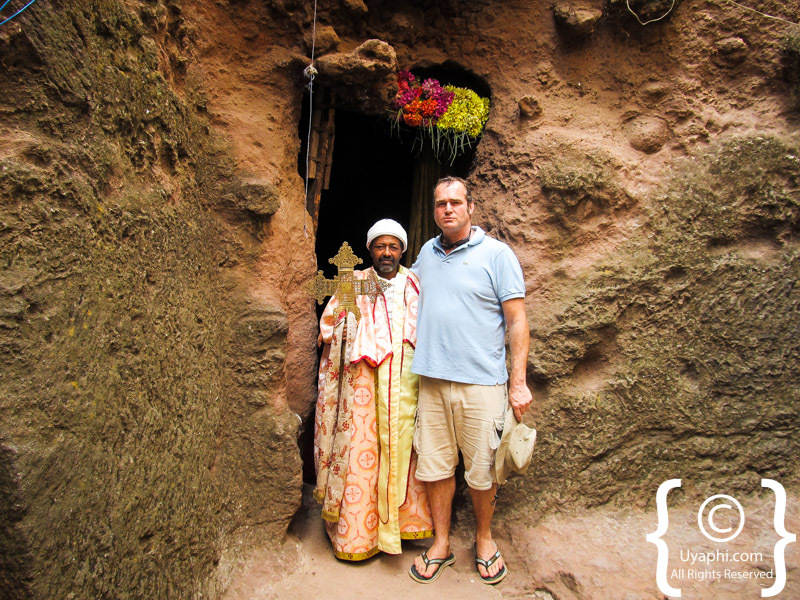 On a flight last year from Lake Tana, the source of the Blue Nile, to the mythical town of Lalibela, I gazed over the immensity of the arid mountain ranges and pondered this peculiar and beautiful race. These tall, lean people with coffee coloured skin and elegant manners are a conundrum. You are immediately at ease with them and for westerners, their diet with many fruits and vegetables and Christian beliefs bring much familiarity. For a man, the women are strikingly attractive. Yet despite these familiarities, they are a unique people with a fascinating culture and history. I digress. Arriving at the back of beyond airport of Lalibela, we drove up the winding road to the town itself. 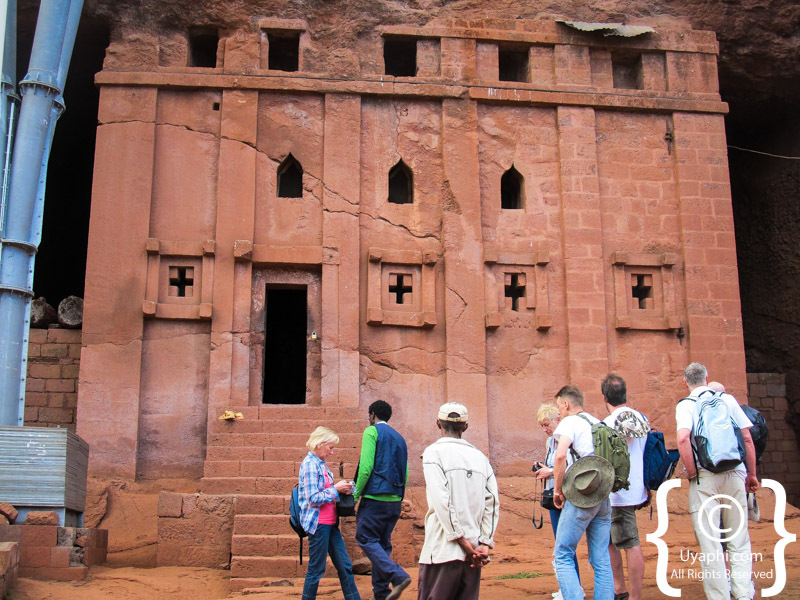 Lalibela is named after a twelfth-century Ethiopian emperor who was moved to build a new Jerusalem after the capture of the old by Moors and Saracens. 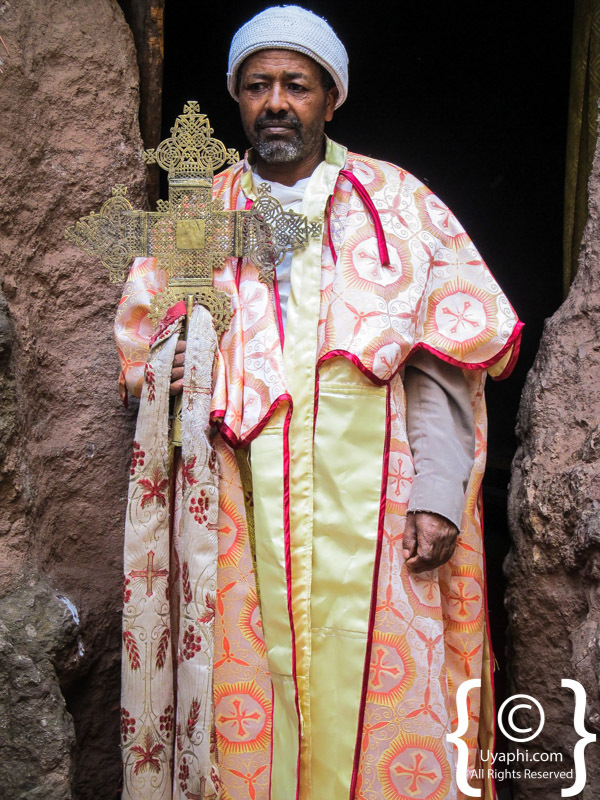 It is one of the holiest cities in Ethiopia and a site of pilgrimage for the Orthodox Christians. Westerners recognise it most for the monolithic churches built downwards into the ground out of solid rock and hewn as single structures. 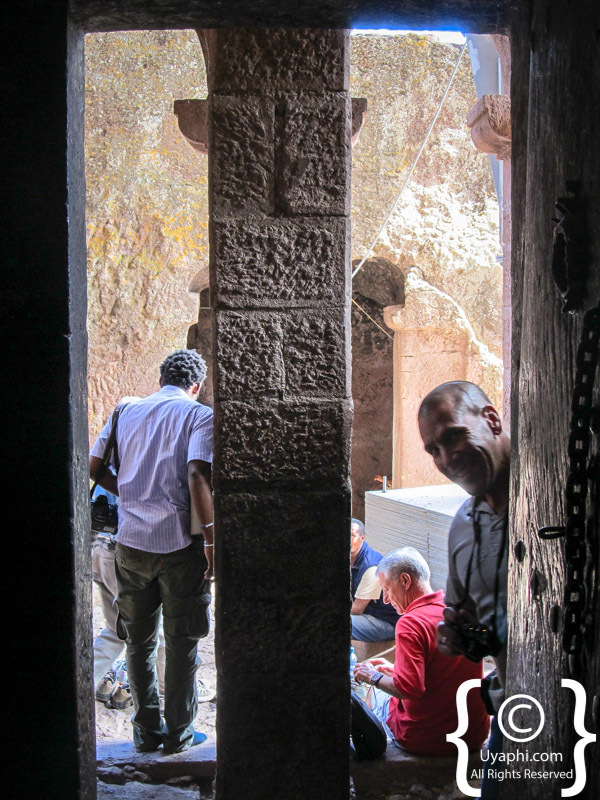 The most notable of these churches is St George which I had the pleasure to visit. It is odd, I felt I had wandered onto the set of an Indiana Jones movie and I could be flattened at any moment by a boulder chasing me down the rock hewn passages. It is undoubtedly impressive, a tribute to man's ingenuity and craftsmanship. There were other more humble structures equally as interesting. Passing through a residential area, I came across a series of rondavels perched on stilts with a staircase leading into each of them. These houses could have been here for a thousand years or they could have been some purpose built tourist attraction but they were simply villagers homes. The people were curious about us but not aggressive and were not soliciting favours or offering us cheap baubles. The nearest I got to being solicited were schoolchildren asking me to buy them some school books. Even more curiously, they actually meant it, dragging me not too unwillingly into a shop and pointing out the books they needed. As I never refuse a book to anyone, I bought them a few and hope their studies will one day reward them. I stayed only two days but could have stayed for much longer. 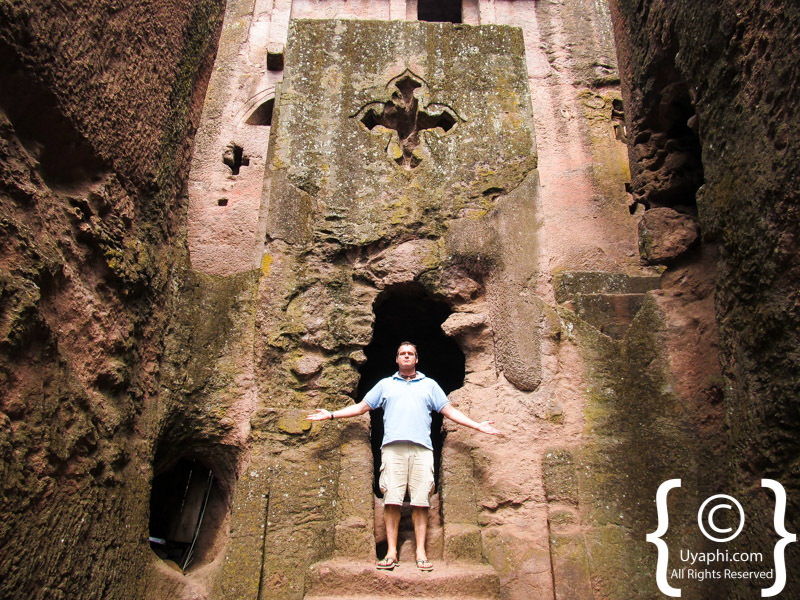 Along with Axum and Gondar, these are places which one ought to see before you die. 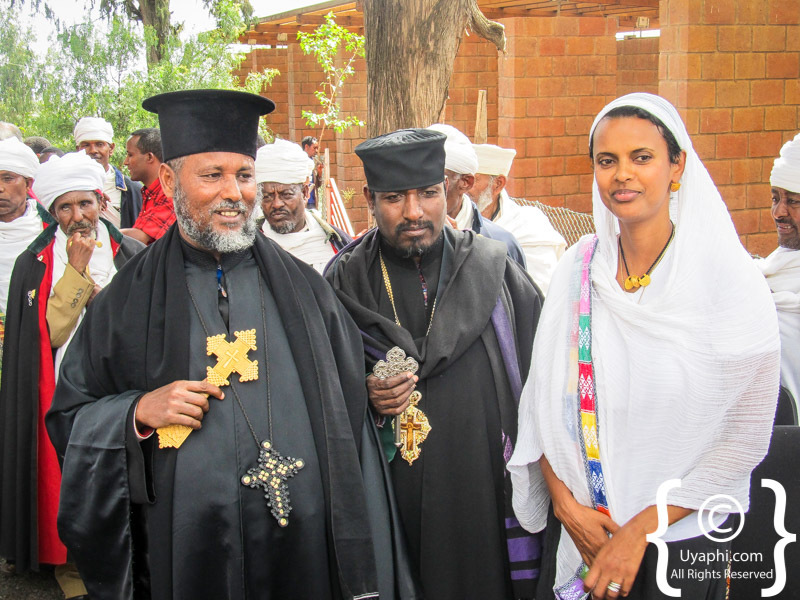 If you are looking for something different, something fascinating and unique and still relatively undiscovered in this busy, busy world; you will find it in Ethiopia.